In a true act of kindness, neighbors of the Lake Forest subdivision got together to show their appreciation to firefighters at Station 3 on Bill Stewart Blvd. on Thanksgiving Day. Our “people of the week” (yes I just made that up but it’s still fitting!) go to Kayla, Amanda and Julie for the idea, cooking, and follow-through of preparing a lovely Thanksgiving meal to some of our heroes who spent the day away from their families to protect all of us. 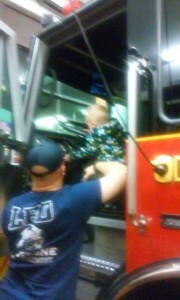 The firefighters gave the kids a tour of the trucks and turned on the lights for them. We hear the young children were tickled! The firefighters were probably equally happy to get a specially decorated dessert! What beautiful, kind people we have in La Vergne! My family was very blessed this Thanksgiving so much that we had extra to give back. I wanted to show my kids, Serenity (age 2) and Elijah (age 3) what the true meaning of thanksgiving was. My family cooked up a wonderful dinner for the LaVergne fire department (station 3). 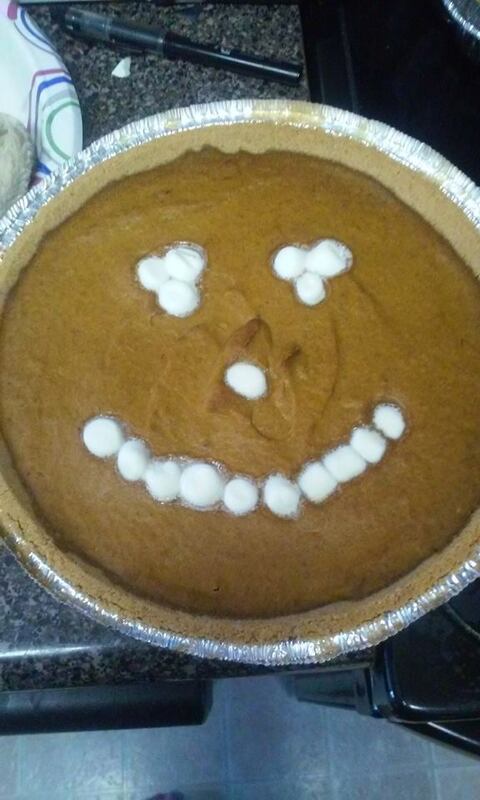 My kids was ecstatic about helping. 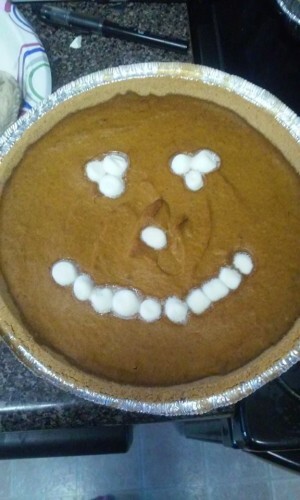 My son stuffed the turkey and my daughter made a beautiful pumpkin pie, along with a marshmallow smiley face, for the firemen. 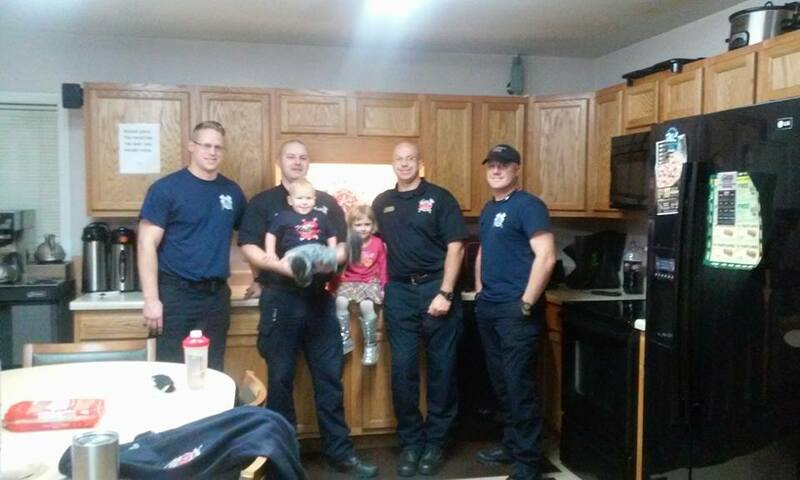 Along with the help of a few neighbors the fire house was able to enjoy a thanksgiving dinner with smiling faces. *A special thanks to Julie Jones for suggesting the idea to donate our extra blessing to the fire department. Her son is ill and was unable to prepare a meal to give to them. *A special thanks to Amanda Harden for donating some side dishes as well! Lake Forest Subdivision came together to make sure our heros had a happy thanksgiving! "Thanksgiving Thanks to Fire Fighters", 5 out of 5 based on 3 ratings. What a kind thing to do. My grandson was one of the firefighters to enjoy this meal. Kindness, thoughtfulness and considerate. Thank you.